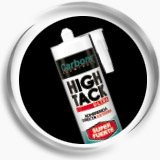 Carbone Distributor Costa Rica has the highest quality in construction adhesives, neutral silicones, structural, acetic and glazing tapes in the market, we have different adhesives such as Carbone High Tack, X-treme tack, High tack, Flexi and Crystal, among others are glues that are replacing screws when it comes to building. These glues have similar characteristics, but also have distinctive features each, making them unique. The Tremco sealant is versatile and high performance, ideal for general purpose gasket sealing and glazing applications. 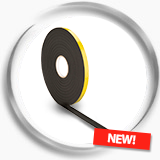 Our glazing tape is a high-density PVC foam self-adhesive tape. To see a demonstration of our construction adhesives and neutral and acetic silicones in our YouTube channel and see why these adhesives will definitely help you to solve professional installation details in your project.